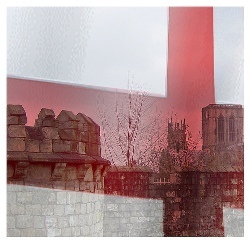 When you woke up this morning, your first thought was most likely “It’s St. George’s Day!” You undoubtedly leapt out of bed, barely able to contain your excitement, ready to kick up your heels and start celebrating in style. However, you might find yourself stumped as to what you can do to commemorate this special occasion, seeing as you most likely have to work (unless you happen to be employed by this guy). Coconut Orchestra world record attempt: London stage production Monty Python’s Spamalot will attempt to break the world record for number of people participating in a coconut orchestra. The record is currently held by New York with 1785 people. Show your English pride and help make history! Registration is from 5pm onwards. A rehearsal will be held at 6.30 and the world record attempt at 7pm. Coconuts will be provided. Wearing chain mail and shouting “Run away!” repeatedly are optional. Screening of Monty Python and the Holy Grail (15). St. George’s Day also happens to be Shakespeare’s birthday and date of death. To commemorate, the Globe will be showing a series of silent film adaptations of Shakespeare’s works dating back to 1899. Projected onto the white walls of the theatre, films will be accompanied by live music from composer Laura Rossi and the Fourth Dimension string quartet. Each film showing lasts approximately 45 minutes. A free photographic exhibition of rarely seen portraits of stalwart British comedians such as Tony Hancock, Tommy Cooper and Frankie Howerd, and including more contemporary artists like Catherine Tate, Lenny Henry, Peter Kay, Shazia Mirza and Simon Pegg. The exhibition runs until Wednesday 25 April at City Hall.